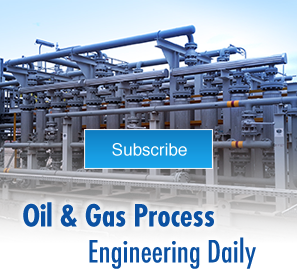 Integrated Flow Solutions offshore process equipment packages are installed in Oil & Gas locations around the world. IFS offers training, commissioning, start up, and maintenance for every package shipped. These services are supplied in shipyards and final project offshore locations which may be operating under extreme conditions. 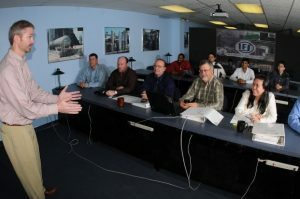 IFS provides classroom or hands-on training for each package. Training is normally conducted with the operations staff who are responsible for the safe and dependable operation of the package. 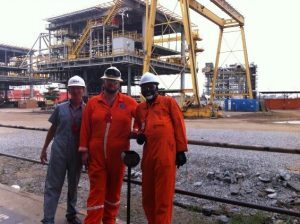 IFS can supply this training for the multiple work shifts to insure all operators have been trained. 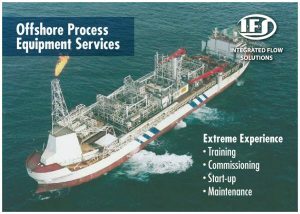 Commissioning is normally provided in a shipyard where the IFS package is integrated into a complete topsides processing facility. 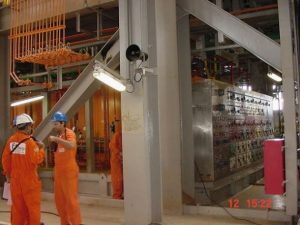 The commissioning process can include energizing all electrical equipment, operating mechanical equipment, and checking for proper operation of all instrumentation. The commissioning process is performed in a location where support is more readily available vs the final site location. Start-up service is supplied at the final project site location. In order for IFS personnel to be allowed access to the site, special training may be required. These internationally recognized training programs are conducted by special training companies and require re-certification every (5) years. IFS supplies contract maintenance for all equipment shipped. This includes preventative maintenance, manufacturer’s normal routine maintenance, and trouble shooting. IFS service personnel routinely are asked to assist operators with repairing/trouble shooting other manufacturers’ equipment due to the skills of the typical IFS service person.